Voters in Bexar County will be the first to cast their ballots under relaxed rules after a federal appeals court ruled that Texas’ strict voter identification law discriminated against minority voters. Voters in Bexar County will be the first to cast their ballots under relaxed regulations after a federal appeals court ruled that Texas’ strict voter identification law discriminated against minority voters. Signing off on a deal struck by Texas and opponents of its embattled law, a federal judge on Saturday gave voters new options for identifying themselves at the polls. The order from U.S. District Judge Nelva Gonzales Ramos applies only to the special runoff election for Texas House District 120, which includes San Antonio's east side. But it could foreshadow broader efforts to redraw the 2011 Texas law — Senate Bill 14 — to comport with the Voting Rights Act. Last week, the U.S. 5th Circuit Court of Appeals ruled that Texas has violated the law prohibiting racial discrimination in voting, and Ramos is charged with finding remedies ahead of looming elections. Early voting for the special election began Monday and runs though Friday. Election Day is Aug. 2. Democrat Lou Miller faces Laura Thompson, an Independent. The original Texas law required citizens to present one of seven forms of identification for their votes to be counted: a state driver's license or ID card, a concealed handgun license, a U.S. passport, a military ID card, a U.S citizenship certificate with a photo or an Election Identification Certificate. 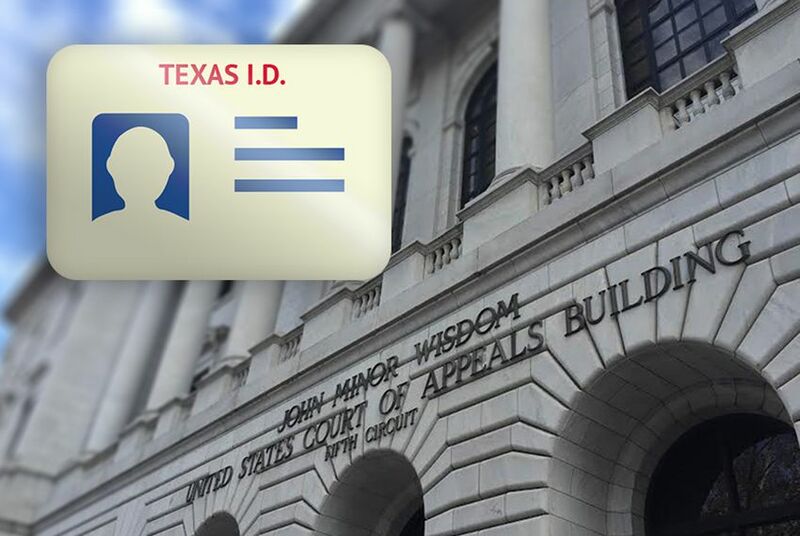 Under Saturday’s order, would-be voters without such identification may vote provisionally and sign an affidavit attesting to who they are and saying a “reasonable impediment” prevents them from obtaining such identification. The voter may also bring a voter registration card or a utility bill, bank statement, paycheck or other government document showing his or her name. Those without such documents must write their birth dates on the affidavits, along with the last four digits of their social security numbers.